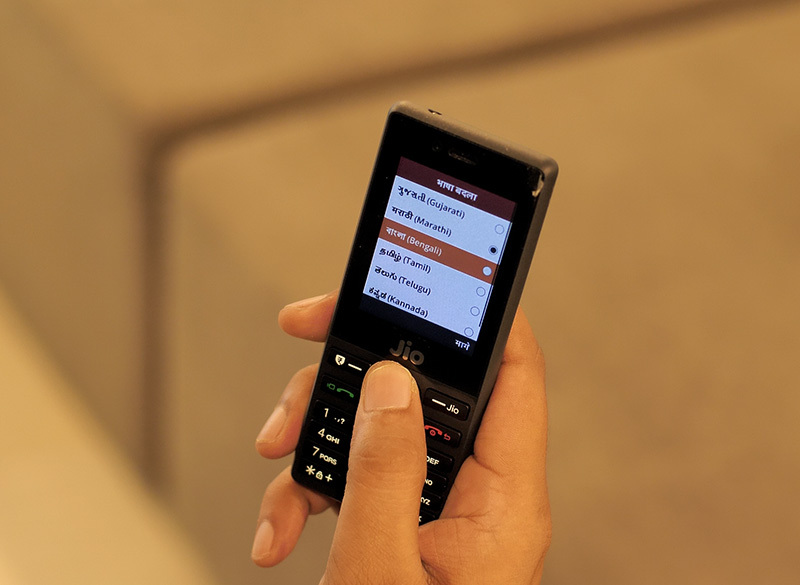 The JioPhone 2 is coming soon, and while that’s definitely exciting news for people looking to buy a feature phone that creeps into the smartphone territory with its awesome features (no pun intended), the original JioPhone is also set to receive some amazing updates. The phone will receive support for WhatsApp and YouTube starting August 15, and here’s a first look at what these new apps will look and work like on the JioPhone. The JioPhone will run a special version of WhatsApp and it looks very much like an app you might be tempted to brand as ‘WhatsApp Lite.’ The app comes with the most important WhatsApp features baked in, which means you’ll be able to use your JioPhone to connect to all your loved ones. The WhatsApp app on the JioPhone comes with support for standard messages (obviously), media files, and even voice messages. 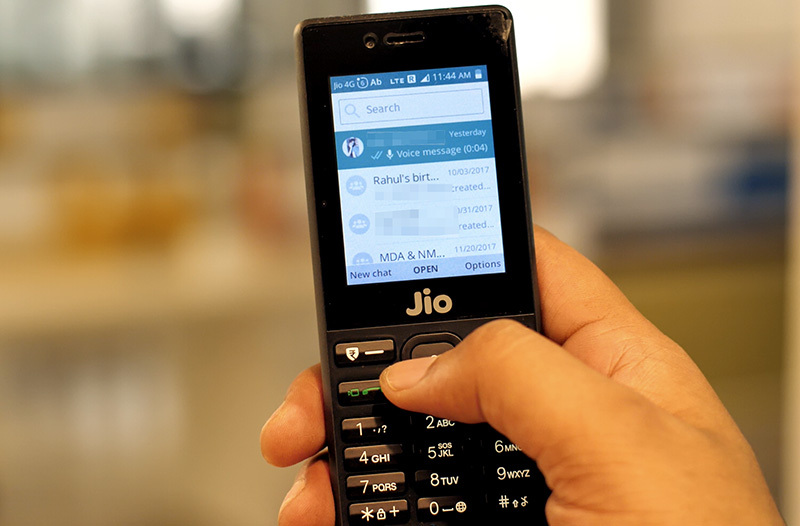 Jio is clearly aiming to make it possible for everyone to use the app on the phone, regardless of whether they’re comfortable with typing or sending voice notes to their contacts. The app currently doesn’t support voice or video calling on the JioPhone, but then again, you get free calling on Jio anyway, and since this is a beta, those features may be added in the future. 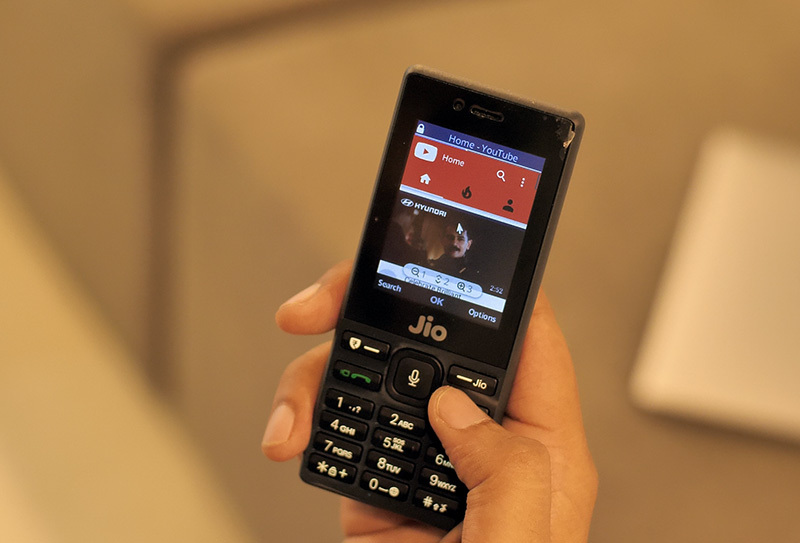 The original JioPhone will also get a standalone YouTube app so users don’t have to fire up the YouTube mobile website on their browsers anymore. The new YouTube app looks very much like a wrapper for the mobile website, but it definitely feels faster than loading up the website on a browser. The app comes with the home, trending, and profile tabs right up top. It also brings the ability to watch videos in full-screen, like them, and read the comments. However, navigation is a bit of a problem, since moving the cursor around with the JioPhone’s navigation keys is quite a cumbersome process. That said, for a feature phone, this is way better than what we could expect until only a couple of years back, and it’s pretty cool that feature phone users will get the ability to watch YouTube videos with relative ease. Apart from that, the JioPhone will also be getting an improved Google Assistant, and it brings a new feature that allows you to simply ask the Google Assistant to play a video on YouTube and it works fine. Jio says that more third-party functionality and app-integrations will be coming to the Google Assistant over time, which is definitely great. Lastly, the JioPhone will also be more accessible to users who don’t speak English or Hindi. The HelloJio app now brings in support for regional languages including the likes of Marathi, Tamil, and more. That should definitely help people use their JioPhone, and access services more easily. So, if you’re using a feature phone that’s not the JioPhone and you want all these features, there’s great news for you. Jio’s Monsoon Hungama Offer goes live today at 5:01PM, and as part of the offer, you’ll be able to exchange your regular feature phone for a brand spanking new JioPhone for just Rs. 501. That’s pretty neat. 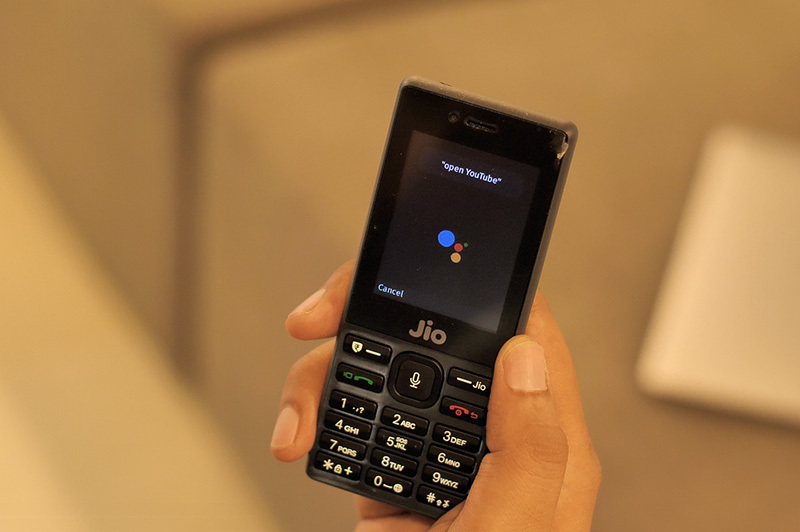 The new JioPhone update will begin rolling out on August 15 — the same day as the JioPhone 2’s launch.